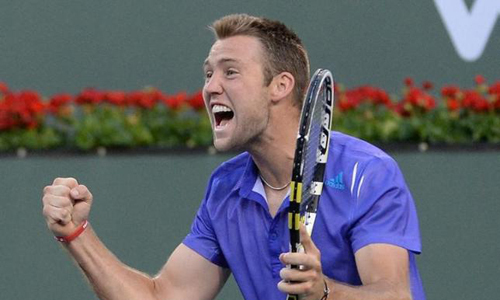 HOUSTON – American Jack Sock reached his first ATP Tour final when he beat big-serving South African Kevin Anderson at the U.S. Men’s Claycourt Championship in Houston on Saturday. Reigning Wimbledon doubles champion Sock, ranked 46, went through 7-6(3) 6-3 against the world number 16 to reach Sunday’s title match. Anderson fired down 14 aces at the River Oaks Country Club but 22-year-old Nebraskan Sock came back with some big shots of his own to delight the home fans.